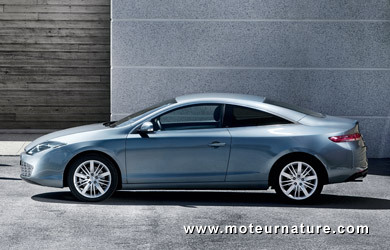 The Renault Laguna Coupé is totally unheard of in America, but it’s closely related to the Nissan Altima Coupe. Many people see it as the best-looking French car. Top engine is a 3.5-liter V6 (same one as in the Altima), but most buyers in Europe get it with the fuel-thrifty 2-liter diesel. 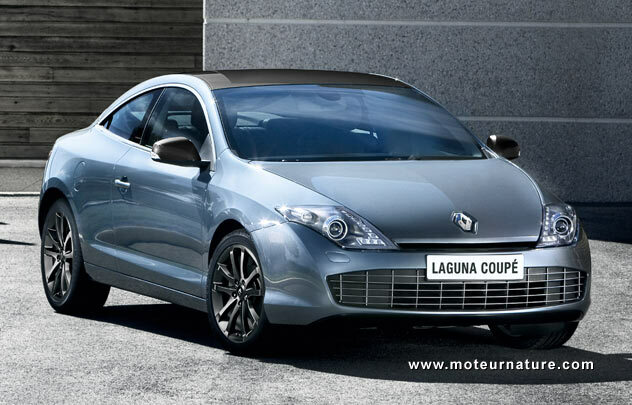 To make customers happier, Renault just upgraded it to make its Coupé even more fuel-efficient. Though it could have done more. It’s easy to see because Renault’s using the same technologies as BMW uses in its famous EfficientDynamics package. That’s notably a Stop & Start system to prevent the engine from idling when the car isn’t moving, and a smart alternator which mostly turns when the car is braking, regenerating lost energy, and not when the car’s accelerating, so that all the engine’s power is sent to the wheels. What’s wrong, and where Renault’s lagging behind BMW, is that those fuel-saving equipments come standard in every BMW 1-Series in Europe. Only the 150-hp diesel Laguna Coupé will get them. Those who want more performance will get worse fuel economy. The Renault Laguna Coupé with this engine has a 52 mpg combined fuel economy rating (city and highway), and that makes it the most fuel-efficient model in the segment. Americans can’t get it, but maybe Nissan could think about diesels for its Altima. Both cars share the same platform, it would be easy to put that diesel under the hood of the Japanese car. Really wonders when America will wake up to the advantages of modern diesels. There isn’t a single car in America that gets 52 MPG.